Before I get to the meat here, I want to put up something of a disclaimer. This piece is about whether or not the US intervention in Iraq and Syria is legal. It is not about whether or not this intervention is good, either for the United States or the peoples of Iraq and Syria. Nothing in this piece should be taken to be an endorsement of the intervention–there are many things the state can legally do that it still should not do, and the intervention may well be one of those things (indeed, I have expressed that view elsewhere). With that distinction in mind, let’s proceed. The first thing we have to note is that international politics is conducted with very different lingo today than it was in the 18th century when the constitution was written. The United States has not issued a formal declaration of war since 1942, when it declared war on Bulgaria, Hungary, and Romania, which were then allies of Nazi Germany. Congress “authorizes the use of force” but does not declare war. The US typically does this when fighting limited engagements rather than total wars, where full mobilization is not required. The first such use of an authorization without a declaration was the Quasi-War against France in 1798. The Vietnam War, Gulf War, Afghanistan War, and Iraq War were all authorized by congress without formal declarations. The UN authorizes a police action in some part of the world, which the US then participates in (but in practice, usually leads). The Gulf War had UN and congressional authorization, but some conflicts are never put to a congressional vote and proceed purely based on the UN mandate. The Korean War is the most notable of this kind, but the recent intervention in Libya is another (though Russia and China maintain that the US exceeded the UN mandate in the Libyan case). The president unilaterally authorizes military force without consulting the UN or congress. 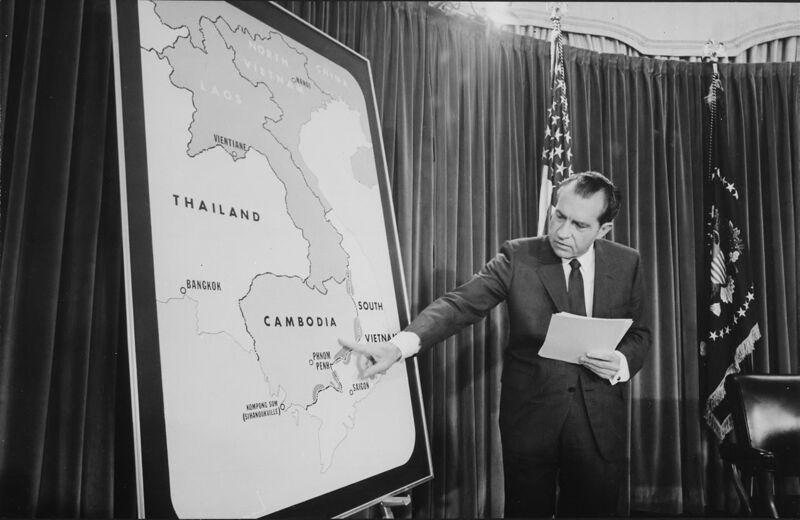 There are many instances of this, among them Nixon’s bombing of Cambodia and Clinton’s participation in the Kosovo War in 1999. Congress continues to appropriate defense funding, but never formally authorizes the use of force or declares war. House Joint Resolution 542 would attempt to take away, by a mere legislative act, authorities which the President has properly exercised under the Constitution for almost 200 years. In accordance with US sovereignty, a military action is legal if it has gone on for less than 60 days and/or has congressional authorization (assuming the War Powers Resolution is constitutional), regardless of whether or not war has been formally declared. In accordance with international law, a military action is legal if it has the support of UN resolution authorizing military action. In international relations theory, realists generally uphold a strong view of sovereignty, and so believe that that so long as the use of force is legal under US law, it’s legal. Liberal theorists tend to believe that international law binds states, so they think wars must not only be legal domestically, but require a UN authorization of force. In practice, the US typically tries to get both kinds of authorization, but will settle for domestic legality and ignore the UN if it cannot get the UN to comply. No major conflict in US history has been invalidated by the judiciary to date, so as far as the US government is concerned, all of its military actions have been legal in accordance with the laws that existed at the time they were undertaken. the President is authorized to use all necessary and appropriate force against those nations, organizations, or persons he determines planned, authorized, committed, or aided the terrorist attacks that occurred on September 11, 2001, or harbored such organizations or persons, in order to prevent any future acts of international terrorism against the United States by such nations, organizations or persons. Is there any link between ISIS and 9/11? It’s complicated–ISIS’ predecessor group, Group of Monotheism and Jihad, was founded in 1999 by Abu Musab al-Zarqawi, who is alleged to have sworn an oath of loyalty to Al Qaeda in 2004 and renamed his organization Al Qaeda in Iraq, but that was after the 9/11 attacks (and indeed after–and likely in response to–the US invasion of Iraq). Before 9/11, al-Zarqawi received some funding from Al Qaeda but maintained an independent organization, and his organization is not believed to have participated in the 9/11 attacks. al-Zarqawi was killed by US military forces in 2006. His successors moved the group further away from Al Qaeda and eventually split off entirely–ISIS and Al Qaeda are now bitter enemies. That said, the president believes the split is irrelevant. The administration argues that because ISIS was at any point in time affiliated in any way with Al Qaeda, the 2001 resolution covers them. Many members of congress do not want to have to go on record supporting the intervention in the event that it goes badly, so congress may choose to accept the administration’s argument for political convenience, thereby granting the administration authority to bomb ISIS indefinitely through passivity. As for the UN? No resolution authorizing military force against ISIS has been passed, though the UN has passed a resolution condemning the group and sanctioning some of its members. Given the United States’ past willingness to disregard the UN when it does not suit its purposes, this is unlikely to prove a true obstacle to further intervention unless the Obama administration wants a political excuse not to proceed further, though Russia and Syria have promised to condemn such action. In any event, it is a near certainty that there will be no formal declaration of war. The US has typically only declared war when it is fighting a total war against a foreign state with full mobilization. Just as the Holy Roman Empire was neither holy nor Roman, the US government maintains that the Islamic State is neither Islamic nor is it a state. Since the US does not recognize the Islamic State as a legitimate state entity, a declaration of war would only serve to legitimize ISIS as a political equal. Furthermore, the US has no intention of going all out and using all the weapons, citizens, and productive capacities theoretically would have available were it fighting a total war, and neither congress nor the administration has any desire to imply otherwise. Very interesting. This breaks the constitutional laws of war down for us. Reading your so perfectly written explanations on so many different issues in a vocabulary that I can grasp has been enlightening. I want to thank you Mr. Benjamin Studebaker for sharing your knowledge with me and many others. You are in my opinion the most talented writer I have ever come across in my 69 years of life. Thank you very much–that’s a high compliment, and I really appreciate it.